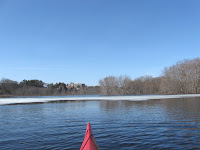 The Sudbury River was open-water again between Rt. 2 and Heath's Bridge. 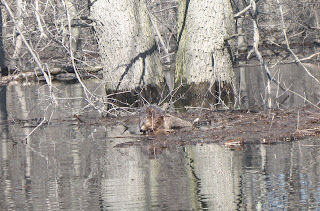 At least it was that way on my trip upriver. However, the view at left greeted me on my return trip. The slab of ice that stretched across the river's main channel had earlier resided in a shallow cove. 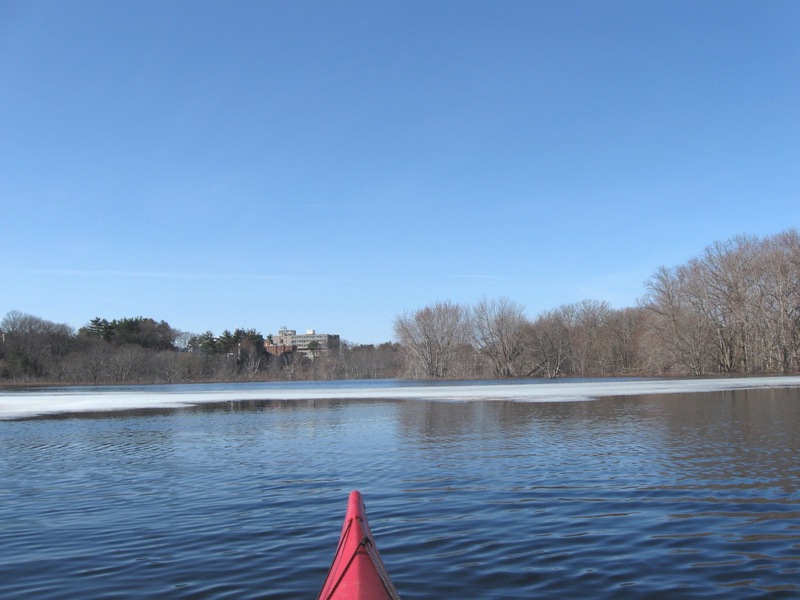 Fortunately, with water levels so high I was able to paddle around the ice by leaving the main channel and paddling through the adjacent woods. In fact, much of today's trash was found in areas that are usually dry land. The lion's share of trash was found alongside the westbound lane of Rt. 2. 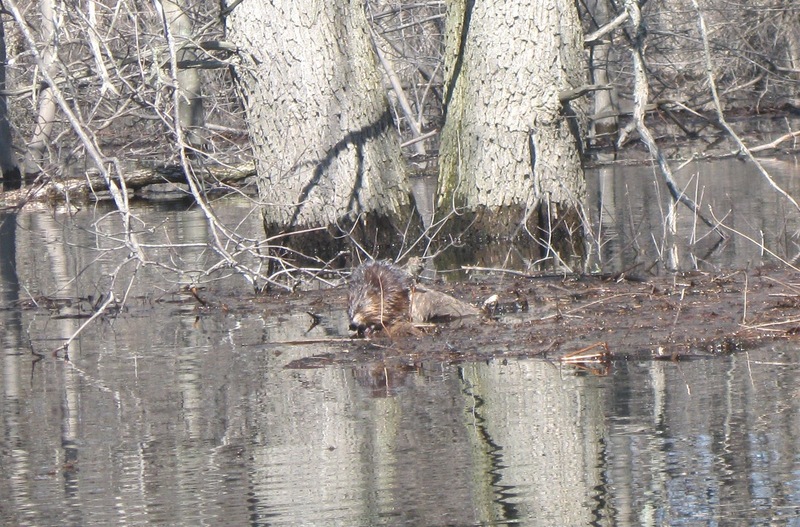 Other critters seen today were ducks, Canada geese, and a hawk. 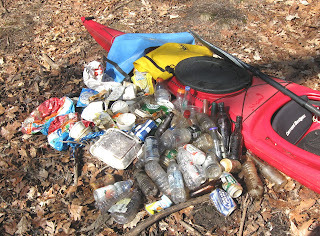 It was a fairly good haul for just a mile and a half stretch of river. The total today was 116 and was composed of 52 recyclable containers (16 redeemable) and 64 pieces of miscellaneous rubbish such as mylar balloons, styrofoam containers, and plastic bags. My YTD total stands at 448. A couple of Heineken bottles provided a touch of green for Saint Patrick's Day. Keep up the great work, Al. It's nice to know that some still care enough about our country to take action to make it a better place.